Because of internet problems today, this post is a little late! 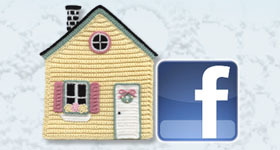 But if the internet stays up while I’m typing this post (fingers crossed), you’ll be able to see the 5th of the FREE crochet patterns I have for you this month, in honor of National Crochet Month. 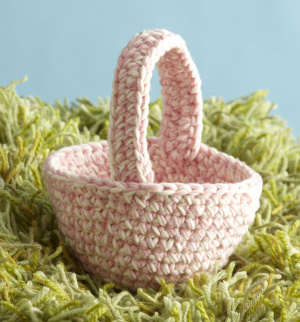 Here’s another Easter pattern; this time for the basket to put the eggs in that you’ll be crocheting from yesterday’s free pattern! This pattern is from Lion Brand Yarn. You can download the FREE crochet pattern here. This basket is made holding 3 strands of yarn together and using an N-13 (9 mm) crochet hook. I think these baskets would be great for children’s or grandchildren’s Easter Egg Hunts! And since they’re made with a larger hook, they shouldn’t take long to make at all! I hope you enjoy this pattern and all the FREE crochet patterns I’m sharing with you this month.